Christine Chuniesingh and Jezreel Paul who has been charged with murdering her. 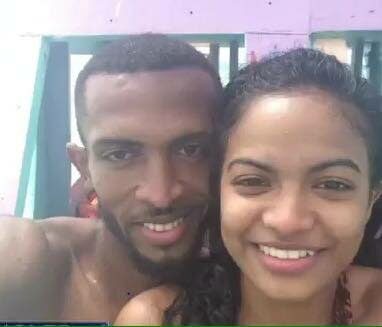 A 26-year-old Valencia man appeared before an Arima magistrate yesterday charged with the murder of his girlfriend, 20-year-old Christine Chuniesingh, who was strangled last Tuesday. The man’s appearance comes days before Chuniesingh will be laid to rest after a service at the Santa Rosa RC Church in Arima tomorrow. She will then be buried at the Santa Rosa RC cemetery. According to a TTPS release sent yesterday, Jezreel Paul, of KP Lands, Valencia was charged after advice was given by Director of Public Prosecutions Roger Gaspard last Friday. Paul was charged by Durmont Highly of the Arima Criminal Investigations Department on Saturday. Chuniesingh was found dead at an abandoned structure on Hill View Drive, Arima after she and Paul allegedly got into an argument. After leaving the area, Paul allegedly went to a relative’s home and said something. He then went to the police. Reply to "Boyfriend charged with Christine’s murder"